I love all the NSPRA locations but am partial to this run because it is hometown for me. We are so pleased to have Augusta on board again, this is my favorite Montana Timed Event (TE). Kent Mosher and his crew will be working hard at giving us a great weekend where the local merchants all seem to go the extra mile for the NSPRA. From there, we go to the small town of Darby, where Loyd Rennaker produces 3 TEs at the beautiful new revamped rodeo grounds. Every year it is exciting to see what has been added. Finally, we end up in Twin Bridges for the last two TEs where the rodeo grounds are next to the river, a perfect place to wind down before heading to New Mexico. Some important reminders: August 1st is the deadline for ballots, nominations and submission of rule changes. This is the time to add in your two cents! Please take a moment to get involved. As a member, your input is very valuable, extremely necessary and greatly appreciated. If you have any questions please feel free to call Susi in the office. 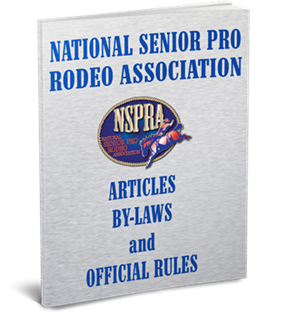 A final note… I will continue my efforts to encourage everyone to reach out to their sponsor resources, which are an essential part of every rodeo association. There is no contribution too small. Our Directors take on a large responsibility that enables contestants to compete for prize money and memorable awards at our Finals. With a united effort, SNFR is able to provide our contestants, family and fans with a great show. Saddle up, check your cinch and stay blessed, see you down the road!